Judges who try to please everyone (Panda). I had to lie down for a while to take it all in. (EG’s favourite book is just perfect for this but don’t tell him). EG says understanding judges is important. 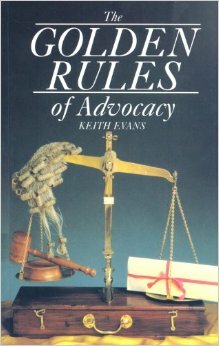 He has made me read Keith Evans’ books on advocacy. (I think EG has a “bear crush” on Keith Evans he says it is an indictment of my bearister education that I have not had to learn every one of these books off by heart. 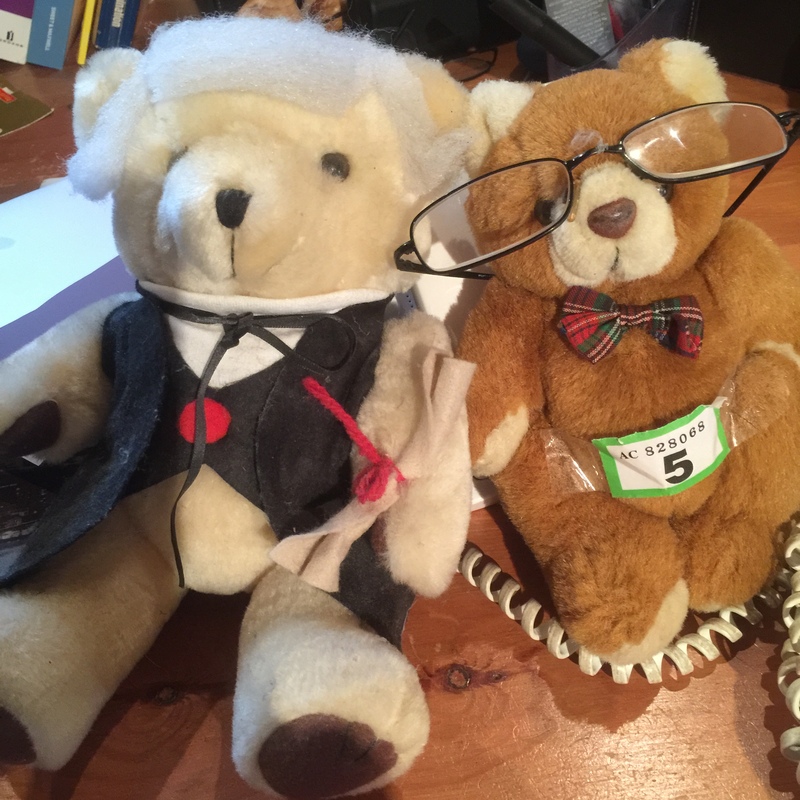 Every bearister should be glad the EG is not in charge of bearister education). EG says that one thing Keith Evans is good at is stressing the importance of time. 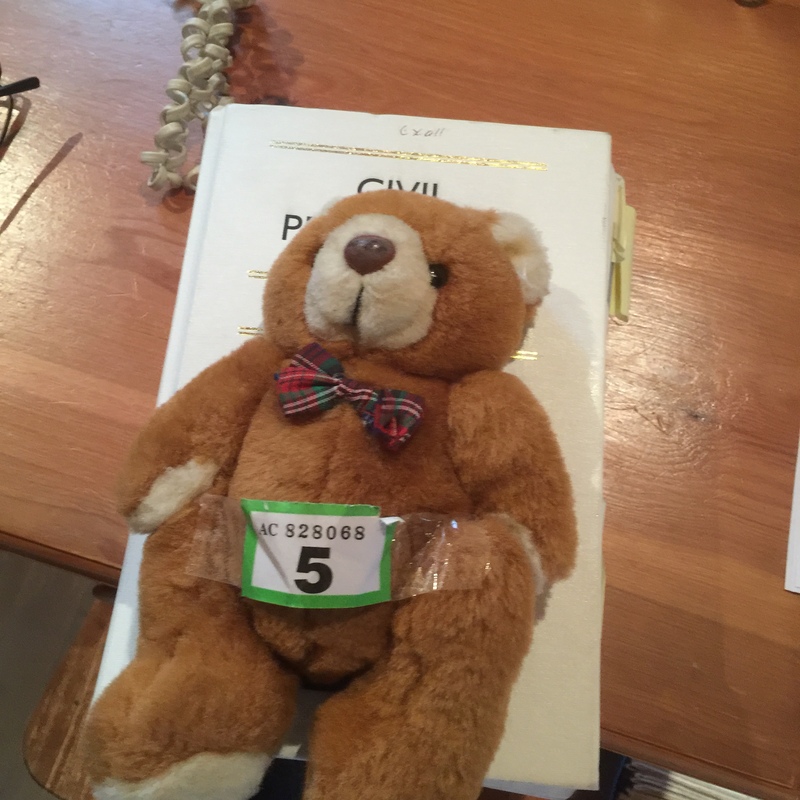 Every type of bearister judge is short of time. “And what about the judge? Do you know how much is usually waiting to be done, on the other side of the corridor? Do you know how much paper has to be looked at just to stay abreast of the workload? This is the Fourth Dimension in which you operate as an advocate, and if you forget it, if you forget it for one moment of your factfinder’s precious time, look out! If you ever give them cause to feel that you are wasting their time they will resent you for it, and if you get your factfinder feeling resentful about you, you are a good halfway to losing your case. That is far, far more important than most lawyers realise“. I now have to read the whole book (and every book that Mr Evans has written). EG doesn’t understand how difficult it is when a book is the same size as me. He says it is the best use of my time. All pupil bearisters should buy the books. (I don’t know what “commission” is but EG says he is not being paid any).